This entry was posted in Health and tagged blood pressure, cholesterol, colds, garlic, heart health, high blood pressure, upper respiratory infections. Bookmark the permalink. Persimmon has good taste! 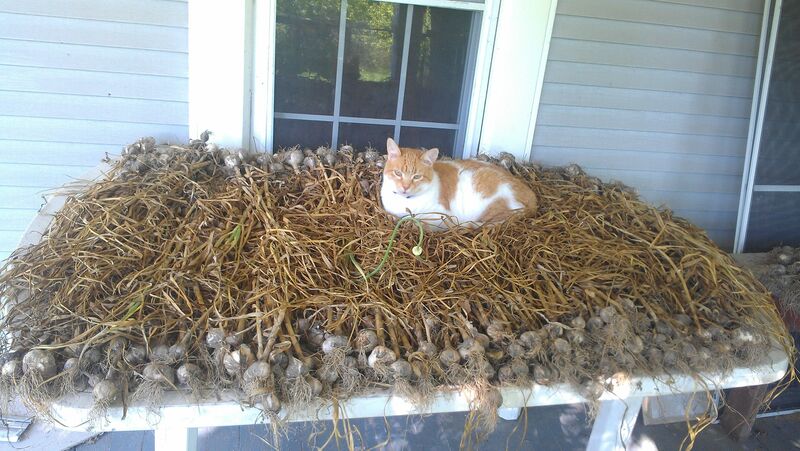 And nice job on garlic-growing! Holy Smoke! 250 bulbs! How do you keep the garlic in good shape for a whole year? The suggestion about microwaving garlic…I thought microwaving changes the molecular structure of the food therefore zapping the nutrients. Is that a myth? I keep the garlic in a dry, dark place. Some of it does start to sprout towards spring, but otherwise no issues. I try to keep an eye out for any compelling scientific documentation on microwaves. So far I haven’t found any, but I still use them sparingly and never microwave plastic.